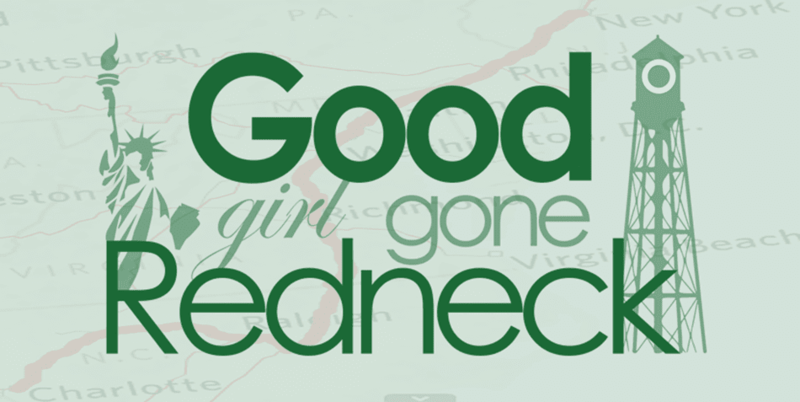 Good Girl Gone Redneck: Wednesday thoughts. Wednesday is a weird day, isn't it? Mine is WAY better today because the incredible ladies over at The Dose of Reality have featured me over there today and all of their amazing readers are coming by and giving me loads of love. And it's a brutal post, but Lisa and Ashley asked so nicely I couldn't say no. Sure - I said. Go link me up!! And then I re-read my post. Dayum. - I thought aloud. Who thinks aloud? It's like, allowed, aloud. out loud. What? It's always in novels and it makes me laugh. I think it should be I said out loud, instead of aloud. Is aloud even a word? It's totally not showing up red and squiggly vis-a-vi spellcheck so I'm gonna go with yes. Anyway, I read my post again and whoa. It's rough stuff. But I love that every comment reminds me it's totally normal. It's okay to be normal, be cranky and BE A MOM. In case you're checking this later in the week, the post they spotlight me in is A Spoonful of Frustration. Do you remember that one? Go follow the trail of breadcrumbs and no doubt you will. It's Dr. Seuss week this week at my daughter's school. Monday was wacky socks day. Tuesday was Green Day (not to be confused with the band, who has the Time of Your Life song that I love - which is not to be confused with the best movie of all time, Dirty Dancing, which has the OTHER Time of Your Life song that I also kind of love, only not nearly as much). Today was wacky hair day. Tomorrow is hat day. Friday is kind of free day, focus on reading. Lots and lots of reading. Reading is fun. Or fundamental. Or something. Isn't that Shaq's commercial? Okay, where was I again? Right. My child finished her homework and is now playing with the *I*Pad next to me and singing loudly at those creatures that sing back to you. It's like the copying game ten-fold. Seriously. It's amazing. And when she was little it was cute. She loved them. But now she's louder than they are. Ow. Bestill my ears. And head. Did you know you could create your own ecard of the famous variety that everyone can pin and repin and so forth? I just did one. Whatcha think? 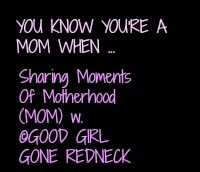 I think every mom can relate. Probably some dads, too. Although I feel like dads get more bathroom privacy. Maybe they demand it better? 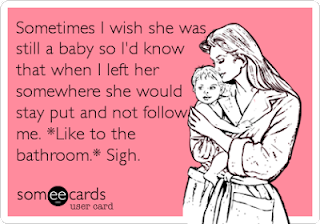 I'm thinking that this could mesh with my You Know You're a Mom When series, because all of this applies, as does the post that the Dose of Reality Girls share for me is one that meshes, as well. Want to share some of your own Moments of Motherhood with me today? I took the world and she's ON FIYAAAHHHHH!!!! She's WALKIN' SHE'S WALKIN She's WALKIN ON FIYAHHHH!!!! 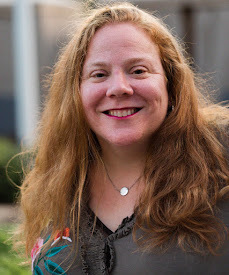 Congrats on being featured- the dose of reality is my favorite!! Thank you so, SO much for letting us feature you today! Woot!! We love *everything* you do, but that one has had a special place with us for so long. It makes *us* feel so good to know that other moms (especially amazing ones like you)are going through and feeling the exact same things we are! Love your (soon to be viral) ecard! You are right. Dads just seem to demand and get more bathroom privacy! Yay!! I'm so excited to jump over there and see you there. I call my son my poop-leader. It's like he as some sort of radar for my bowels. He's going places.